That’s right, Sony is working on a remake of “Superfly” and there are casting calls for Atlanta area locals who would love to land a small paying extras role in the upcoming movie. Extras casting directors have been releasing casting calls for background talent for some time and the latest calls are listed below. 1970’s flick, “Superfly” is getting a remake. The original movie was directed by Gordon Parks Jr. and told the crazy story of a dope dealer who was looking to do just one more score before retiring from the drug scene. 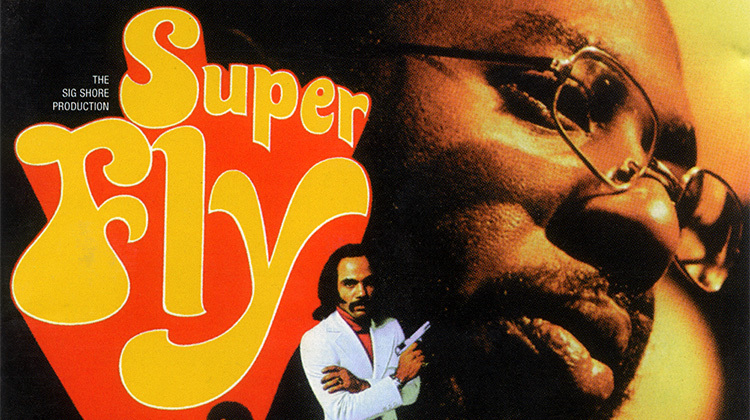 Th original version of “Superfly” starred Ron O’Neal. O’neil played a dealer nicknamed Priest, who had a revelation about the course of his current life. He realized that his current gig would end up with him serving a very long prison sentence or his death at the hands of those he knows. Priest comes up with an exit strategy that involves him making the biggest deal of his life to set him up for his retirement. The original movie did have 2 sequels, Super Fly T.N.T. (1973) and The Return of Superfly (1990). Reviews for the film and it’s portrayal of African Americans came under scrutiny. however, the original soundtrack created by Curtis Mayfield, went on the be a success. Director X is known for helming music videos for artist such as Usher, Kanye West, Jay-Z, David Guetta, Drake, Justin Bieber, Nicki Minaj and Rihanna. According to a Deadline post, the Hip Hop music artist Future, is on board the project and will also be serving as a producer along with with Joel Silver. The original film was produced by Sig Shore and his son, Steven R, is also on this project and is serving as an executive producer along with Matthew Hirsch, Hal Sadoff and Aaron Auch. Music video producer, Director X is officially attached to direct the remake with Trevor Jackson confirmed to star as Youngblood Priest. In addition, Mudbound and Straight Outta Compton star Jason Mitchell has signed on to co-star as Eddie, along with Lex Scott Davis as Georgia, Andrea Londo as Cynthia, Jacob Ming-Trent (Showtime’s White Famous) as Fat Freddy, and Omar Chapparo as Adalberto. Please note that the movie is filming in the ATLANTA AREA AND TALENT WHO WOULD LIKE TO WORK AS PAID EXTRAS MUST BE LOCAL. – START TIME will be APPROX. 6:00pm!! Casting for BIKERS for a BIKER BAR that are part of a drug ring! This is a nice small scene that will be a part of a montage sequence. – Some we will book as just you, with no bike or truck if you don’t have one. NOTE: if you DO have a bike or truck and you are ok to be booked without it ..either way, let us know! We only need 5 motorcycles and 7 pick-up trucks out of our small group!! 1. CLEAR , CURRENT PHOTOS with your CURRENT HAIR and FACIAL HAIR . Please do NOT send photos of what your hair could look like …we need CURRENT. WARDROBE: tell us if you have all appropriate biker leathers, attire, etc.. (a brief list) , and also note if it’s Harley Davidson logos, etc..
– PROSTITUTES- ladies..this is your chance. – HOMELESS man or woman – any age..bummy looking! – CRACK HEADS – male or female – THINNER. 1. CLEAR , CURRENT PHOTOS with your CURRENT HAIR. Please do NOT send photos of what your hair could look like …we need it CURRENT. ALSO, please include a few CURRENT selfies that are well lit, against a neutral, lighter background. NO SMILES in your photos please. You need to LOOK the PART!!. It’s BETTER to take some time tonight and submit good photos than to rush and send crappy ones 😉 – make sense? 3. ALSO, look downscale, but don’t overdo it..meaning, just a neutral face or a serious face. I am an Atlanta based Fashion Designer. Please let me know if you have any casting alerts specifically for fashion designers, costumers or wardrobe designers. Any information to connect me to studio stylist or wardrobe departments would be most appreciated!